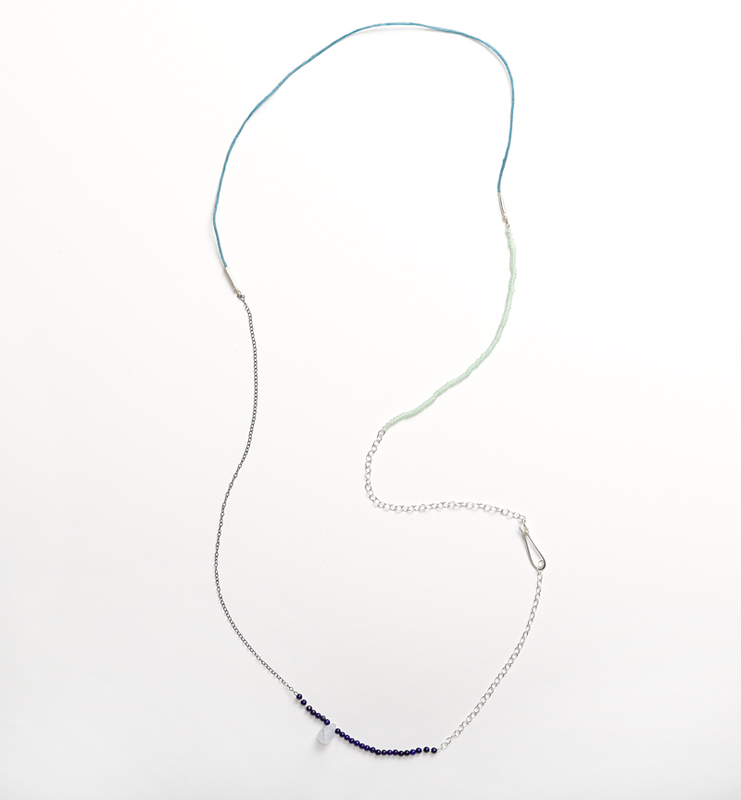 The segments necklace/bracelet can be worn a trio of different ways. 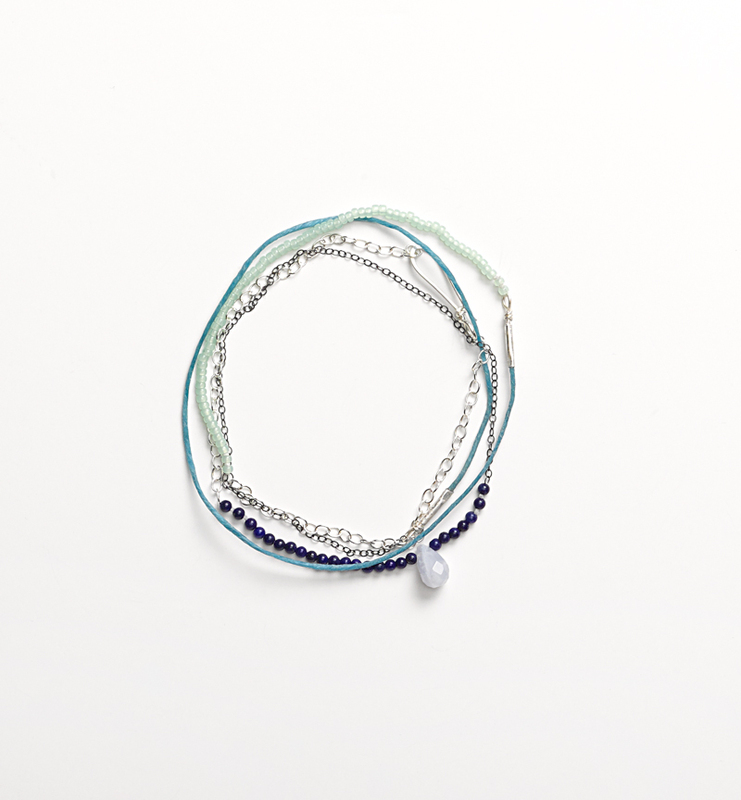 It can be styled as a long, delicate single strand measuring 32″, as a doubled up 16″ strand, or as a bracelet wrapped around the wrist several times. 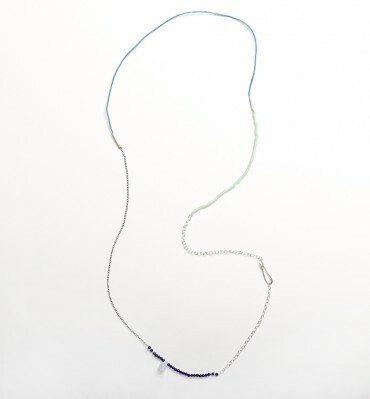 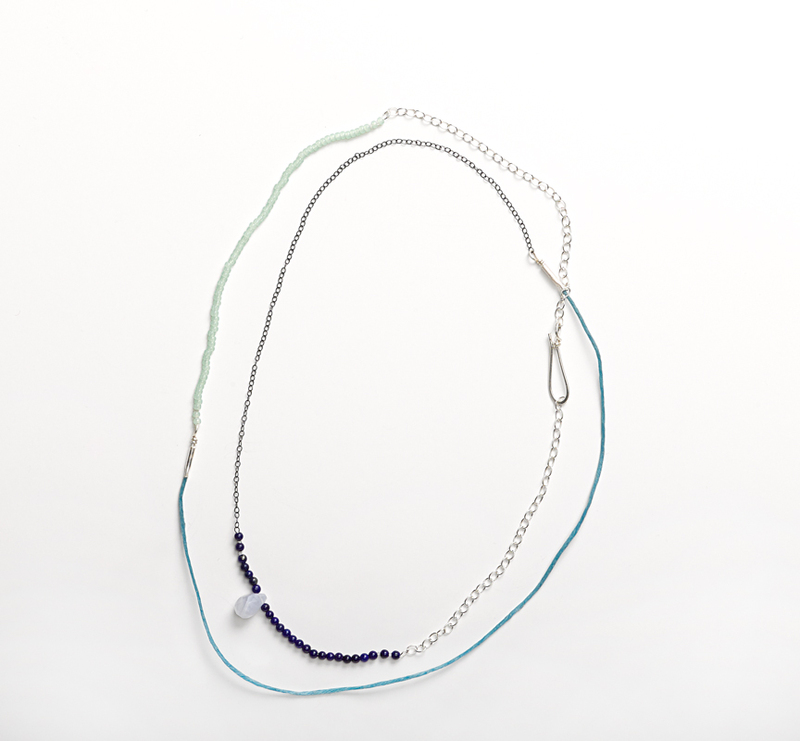 The blue is made from waxed linen cord, silver and blackened silver chain, seed beads, lapis beads and amazonite briolette.